CHEST is a 33 month Research and Development project supported under the Seventh Framework Programme (FP7) to promote the development of digital based innovations that have the potential to address key societal challenges. 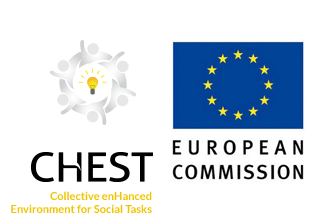 In addition to the development of an online community platform that will facilitate the sharing and exchanging of ideas, the CHEST project has invested up to €2.5 million in seed finance for highly innovative digital based technologies, concepts and systems that address a specific societal challenge. Citizens Foundation was one of those awarded seed financing for our Active Citizen project that will simplify and improve our online participation. More about the Chest Project and Active Citizen.